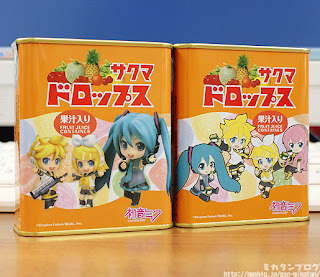 VocaParty: Sakuma Drops Nendroid Plus Rubber Strap! To celebrate Good Smile Company's 10th year anniversary, Good Smile Company collaborated with Sakuma Drops to release a special edition of Sakuma Drops. 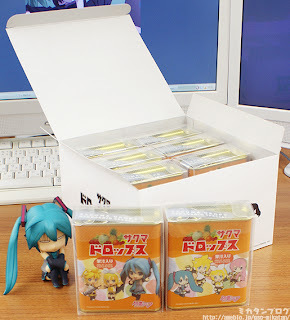 Pictures below are from Mikatan's Blog and Piapro Blog. The special edition of Sakuma Drops comes in a package. 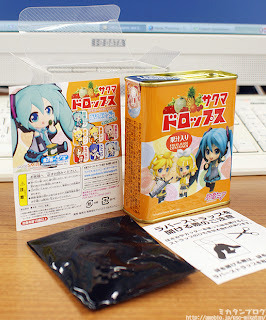 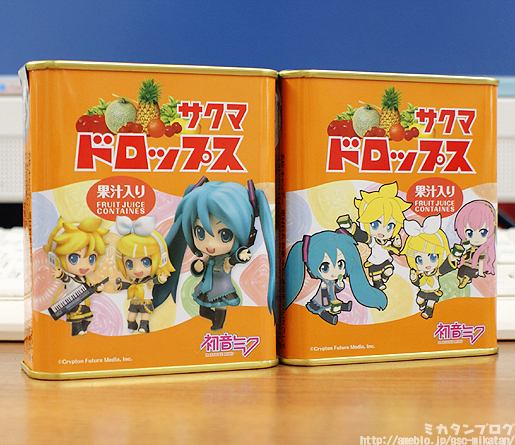 Inside the package there's not only the can of sweets, there's also rubber straps! 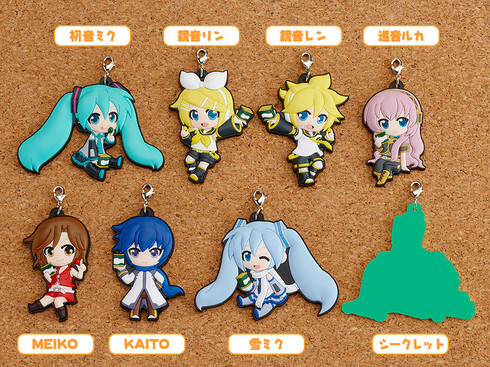 There are a total of 7 straps with one secret strap! 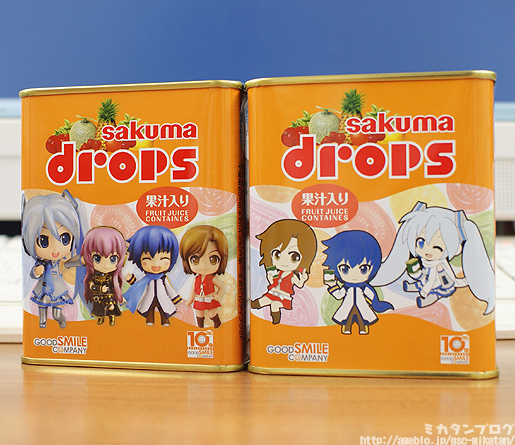 There will be 8 cans of Sakuma Drops in one box as shown in the picture below.